Frank came out on his blog earlier this month and it was reported that when asked about the singer by paparazzi in France at the weekend, Chris allegedly replied "Man, no homo." 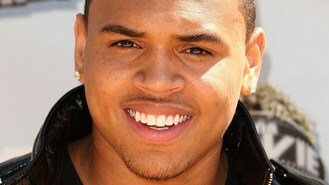 But Chris tweeted: "HUH??????... Are we still in 'mental highschool'? My opinion on the whole Frank Ocean subject is... Love who u wanna love. It's ur decision... Everyone is so quick to point the wrong fingers at each other!" Last year Frank and Chris had a feud on Twitter after Chris compared his rival to songwriters James Fauntleroy and Kevin Cossom. Frank hit back, saying: "I just don't like underhanded comments", and a furious Chris retorted: "It was a compliment", followed by a string of expletives. In 2010 Chris apologised to his gay fans and insisted he isn't homophobic after he used homophobic slang during a Twitter feud with rapper RAZ.